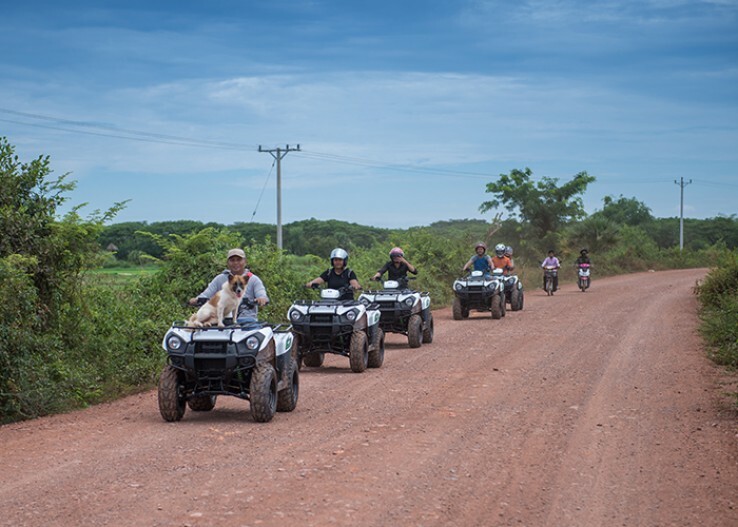 After pick up from your hotel to office at 07:30Am, We will telling you about the safety driving and briefing, then we will make a short test and training to make you adobe with the quad bike. 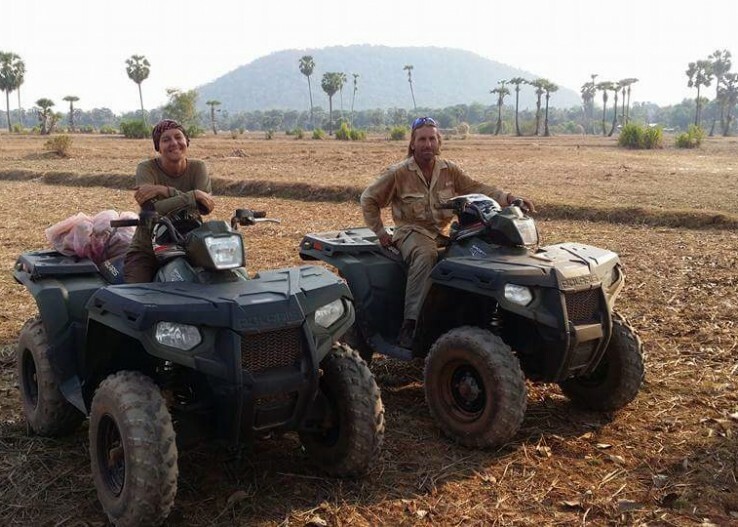 Visit The real life style of Cambodian at the countryside and beautiful villages close to nature as you could not see in South East Asia. Tours includes the visit to the local orphanage and school. 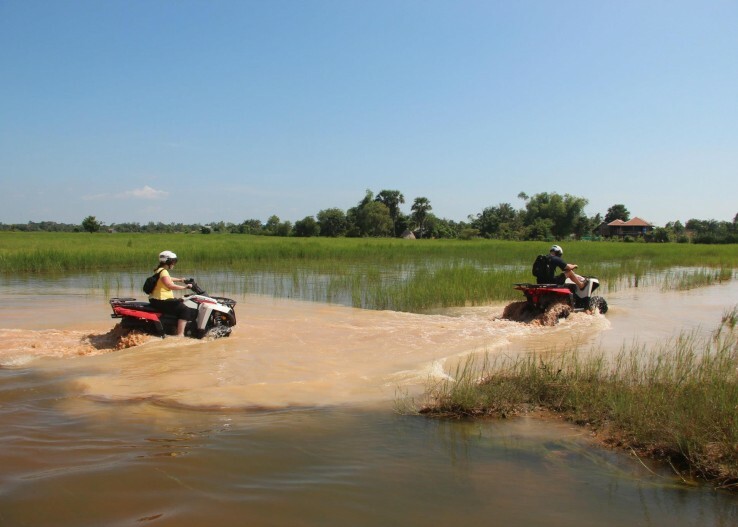 A visit to local market full of vegetable and fresh water fish, a visit to Cambodian Buddhist monastery that can give you new insight into Buddhism, a visit to one of the Angkorian temples, Prei Monti, which was built in 09 century (Non- touristic temple), then break for lunch at the local restaurant. 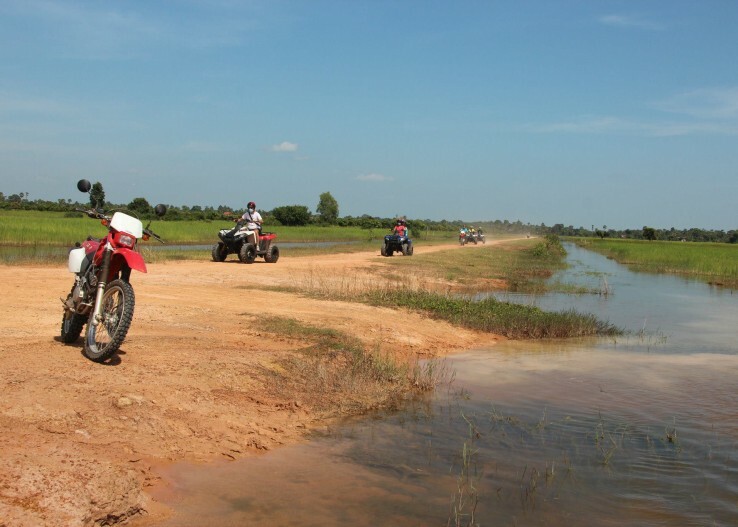 After lunch, continue to see other villages which stay very far from Siem Reap, then visit one of the pre-Angkorian temples on top of Phnom Bok mountain back to town with the different way. - Helmet and facemask in the drive season or plastic bag to protect your shoes in the raining season.